Despite the mixed results of the New York Times paywall erected earlier this year, major papers around the country are following the Gray Lady’s lead in charging users to view content. 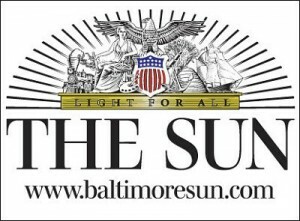 The Baltimore Sun is the latest major city newspaper to join the paywall fray, loosely following the Times’ model of allowing a bit of content for free and charging after a certain level of content is viewed. Under the terms being adopted by the Baltimore Sun in October, readers will be allowed free access to 15 stories per month- after which the subscription rates kick in. As the numbers clearly show, digital consumers recognize the website’s value. We are confident they will subscribe to maintain access to all of our unique, in-depth local news and information, and we will continue to innovate in ways that provide those readers with the news they want, the way they want it. Ryan says that in August of 2011, the site drew 52 million views from 4.8 million unique viewers, and that the Sun “has averaged annual site traffic growth of 39%.” Ryan also said that the paper would offer a special introductory rate of 99 cents per week for the first four weeks as an incentive for readers to sign on. I wonder if they would be better off just shuttering the print operation and going to an online-only model?